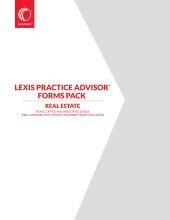 The Asset Purchase (Pro-Seller) Pack contains 18 documents drafted by expert authors. The transaction is contemplated from the perspective of the Seller and includes everything from the Asset Purchase Agreement to the Closing Checklist. Each document includes practical guidance in the form of summaries and drafting notes.